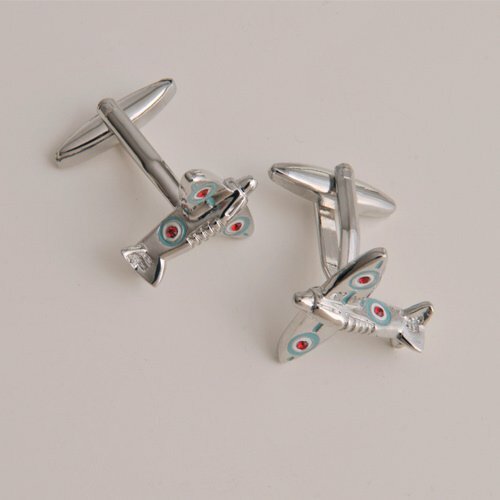 Add a little attitude to your wedding day attire with our Spitfire cufflinks. 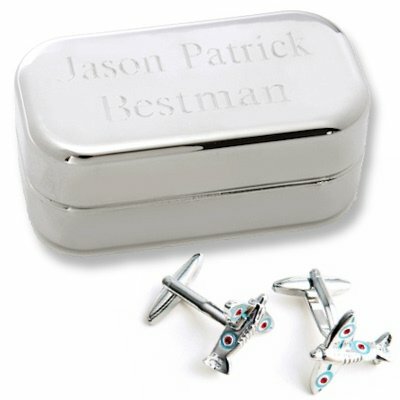 You'll be ready to take flight into your new life and look good doing it! Also makes a great gift for each male in your wedding party. 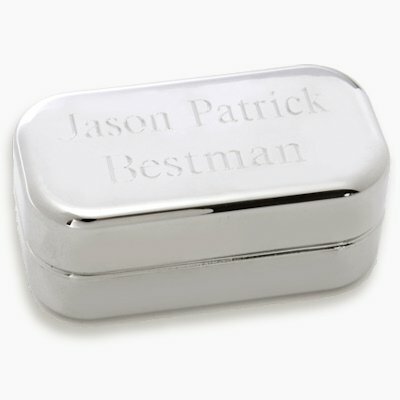 The pair comes packaged in a plated silver-tone case that is personalized with up to 2 lines of text. Case measures 3" x 1 1/8" x 1 1/2" and is lined in black satin.